Diocese of Orán says Vatican's Congregation for Bishops has entrusted Tucumán Archbishop Carlos Alberto Sanchez with the next phase of the investigation regarding accusations against Bishop Gustavo Zanchetta. The Vatican is proceeding with an investigation into an Argentine bishop close to Pope Francis who has been accused of improper behaviour with seminarians and sexual abuse. In a statement posted to its Facebook page, the Argentine Diocese of Orán said on Tuesday (February 5) that the Vatican's Congregation for Bishops had entrusted Tucumán Archbishop Carlos Alberto Sanchez with the next phase of the investigation regarding accusations against Bishop Gustavo Zanchetta. The development is significant because it signals that a preliminary investigation conducted by the Orán diocese and sent to the Vatican was deemed credible enough to warrant further investigation by an outside party. The Associated Press reported last month that the Vatican received indications of inappropriate behavior by Zanchetta in 2015 and again in 2017, with reports from his former vicars and the seminary rector. Zanchetta resigned abruptly on August 1, 2017 but by December had been named to thenumber two position in the Vatican's financial management office, APSA.The Vatican has insisted that there were no accusations of sexual abuse against Zanchetta when he was promoted to the job. Vatican spokesman Alessandro Gisotti repeated in late January that the Vatican received the first accusations of alleged sexual abuse by Zanchetta a few months ago. 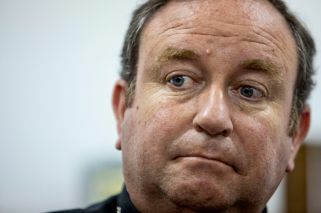 Zanchetta's former deputy, the Reverend Juan Jose Manzano, had previously told the AP that he had sent the Vatican information in 2015 and 2017 of alleged inappropriate sexual behavior by Zanchetta that included taking naked selfies and reports that he engaged in harassment and misconduct with adult seminarians. Manzano told the AP those reports didn't constitute formal canonical accusations of sexual abuse, but were merely reports of behaviour that he, another former vicar general and the rector of the seminary in Oran considered important to bring to the Vatican's attention. Gisotti didn't directly address or dispute Manzano's reports. In a January 4 statement, Gisotti had confirmed that Zanchetta was under preliminary investigation for alleged sexual abuse, but said that the accusations were first made in the autumn of 2018. He said the reasons for Zanchetta's resignation were due to his difficult, tense relations with the Oran clergy and inability to govern them. He said the current bishop of Oran was gathering testimony that hadn't yet arrived at the Vatican bishops' office, and that Zanchetta would refrain from working during the preliminary investigation.